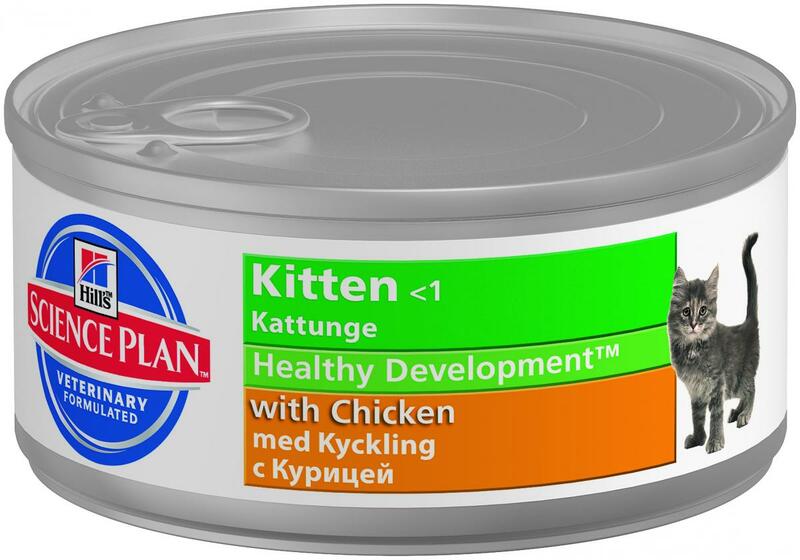 Hills Science Plan Kitten is a complete food with Chicken that has been specifically formulated for kittens under 1 year old. 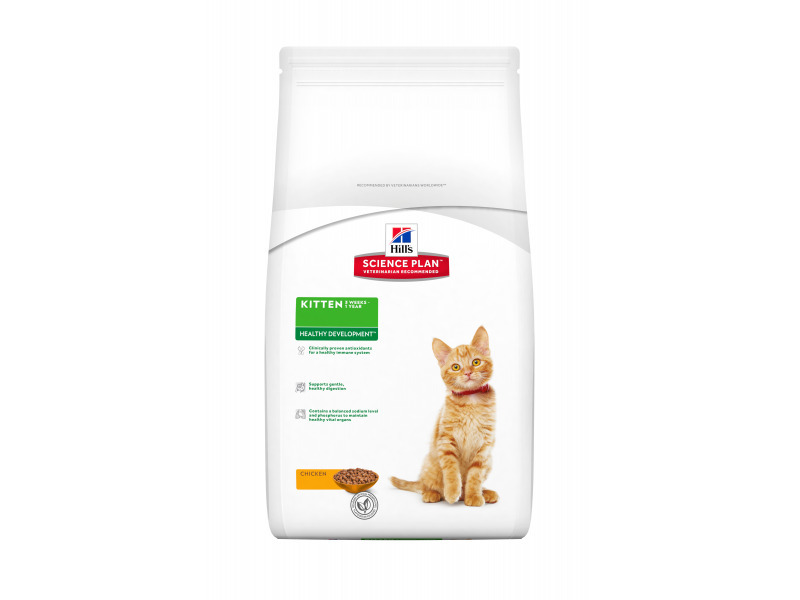 It has been developed to provide your cat with the complete nutrition needed for overall health and vitality. It has been adapted to the specific needs of kittens which are different to those of older cats. They have added antioxidants which have been clinically proven to support your kitten's natural defences. The food contains a combination of balanced sodium and phosphorus levels to help vital organs to be healthy. They are made with highly digestible ingredients, such as chicken, for a gentle food that tastes delicious. Ingredients: Chicken: Chicken (46%) and turkey meal, maize, animal fat, digest, minerals, fish oil, dried beet pulp, flaxseed, soybean oil, cellulose, vitamins, taurine, trace elements and beta-carotene. With a natural antioxidant (mixed tocopherols). Ingredients: Chicken: Pork, chicken (5%), animal fat, dried egg, maize starch, maize gluten meal, soybean meal, minerals, digest, fish oil, cellulose, taurine, dried beet pulp, vitamins and trace elements. - Chicken: Chicken (31%), pork, pea protein, wheat flour, minerals, salmon, cellulose, various sugars, dried whole egg, dried pork protein, maize starch, fish oil, sunflower oil, vitamins, taurine, trace elements and beta-carotene. Coloured with natural caramel. - Ocean Fish: Chicken, pork, pea protein, ocean fish (4%), minerals, dried whole egg, maize starch, cellulose, dried pork protein, various sugars, sunflower oil, fish oil, vitamins, taurine, trace elements and beta-carotene. Coloured with natural caramel. 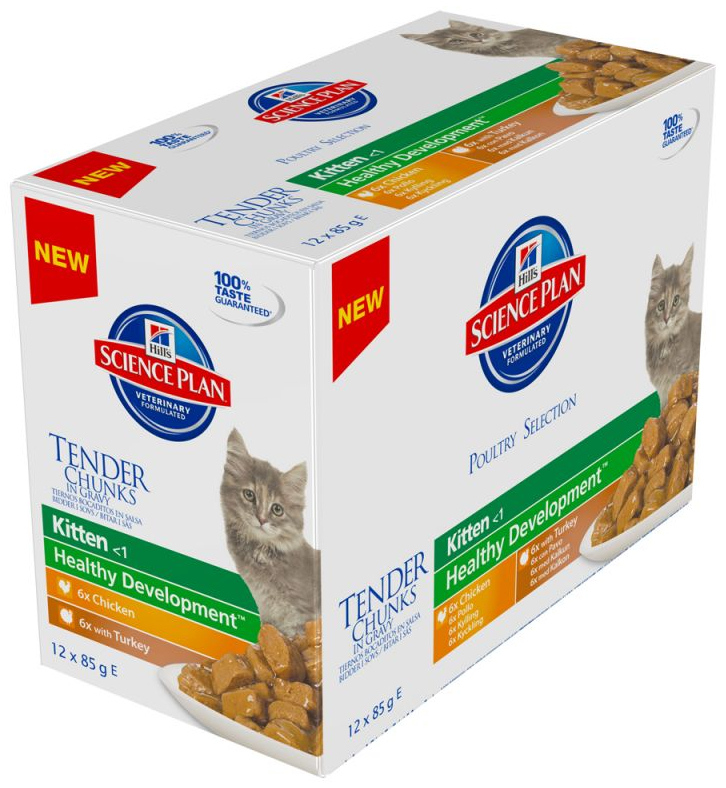 There are currently no questions for Hills Science Plan Healthy Development Chicken Kitten Food - be the first to ask one!